Here is a photo taken on my iPhone yesterday of one of the cameras in our studio. 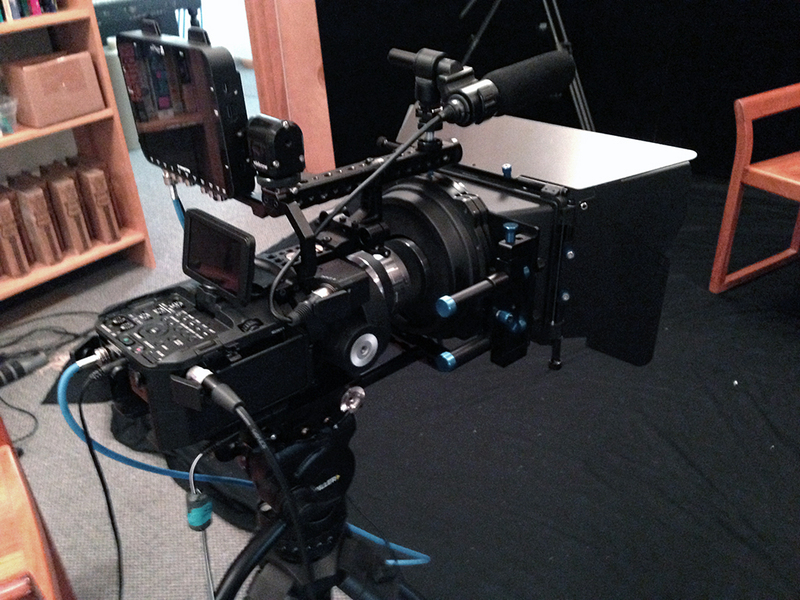 This is the Sony FS-700, one of two 4K cameras we are using. 4K does not mean 4K-money, but 4K resolution, which is four times the resolution of the standard 1920x1080 HD movies. For us to shoot even one interview takes up something like half a terabyte of disk storage. Multiply that by three for redundancy sake and we are talking about serious disk space. Today the studio is getting ready for an interview shoot, this time with Seth Bernard and my daughter May Erlewine Bernard, the first of several interviews of these two. All of this is for our new documentary, "Wellspring: Michigan Music Project," that my son Michael and I are working on this summer. I have written about this before. It will take Michigan music from indigenous Native American forms up through the Alan Lomax recordings of 1938 and on to the present scene, where we are focusing on the Earthwork Music Collective. I can't believe how many wires, cords, adapters, plugs and what-all it takes to capture all this footage. I am sure we will laugh at it all even a few years from now, when much of this will be miniaturized into an easy-to-use system. Right now video is a sharp-curve bleeding-edge sort of thing that is all-absorbing, just the kind of project I like. It keeps me out of trouble, which is, as they say, a "good thing."